GiGi's Playhouse Celebrates World Down Syndrome Day! Lakewood, OH (March 14, 2017) – GiGi's Playhouse Down Syndrome Achievement Center is hosting a celebration on March 21, 2017 in honor of World Down Syndrome Day. The event will take place from 6-8pm at the Playhouse at 15316 Detroit Ave in Lakewood and will include music and refreshments, including gelato from The Sweet Spot in conjunction with their "Hello Spring Free Scoop Day". Participants are invited to help "break in" new donations to the Playhouse donated by the Leprechaun Foundation. 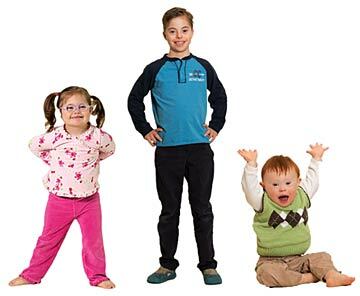 World Down Syndrome Day (WDSD) is observed on March 21 every year and is a global awareness day that has been officially observed by the United Nations since 2012. According to its website, Down Syndrome International encourages friends from all over the world to choose their own activities and events on WDSD to help spread awareness and acceptance of individuals with Down syndrome. The date for WDSD was selected to signify Down syndrome: the uniqueness of the triplication (trisomy) of the 21st chromosome. GiGi's Playhouse is a 501(c) 3 nonprofit organization funded solely by donations..